It’s a wheelie good time at the annual Kids Bike Rodeo! Learn all about bike safety at the Kansas Children’s Discovery Center on Saturday, April 27 from 11 to 3. 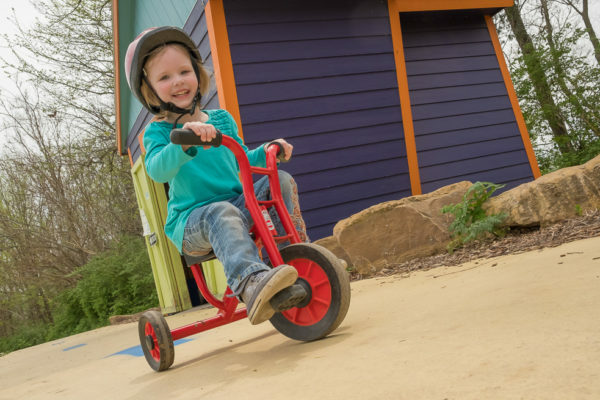 Using Discovery Center bikes, experts from Safe Kids Kansas will be onsite with traffic signs to help children recognize their meanings, review the rules of the road, demonstrate how helmets protect us and how to fit them correctly. Free safety checklists and helmets will be available while supplies last. This event is supported by Safe Kids Kansas, Stormont-Vail Health, Topeka Community Cycle Project, the Topeka Police Department and the Kansas Department of Transportation (KDOT).